NMEA 2000® and NMEA 0183 support for network connectivity. Garmin Marine Network support for sharing sonar, including Panoptix™ sonar, maps, user data, radar and IP cameras among multiple units. Garmin Marine Network and NMEA 2000 Support: Full-network compatibility allows you to add more capabilities to your boat. 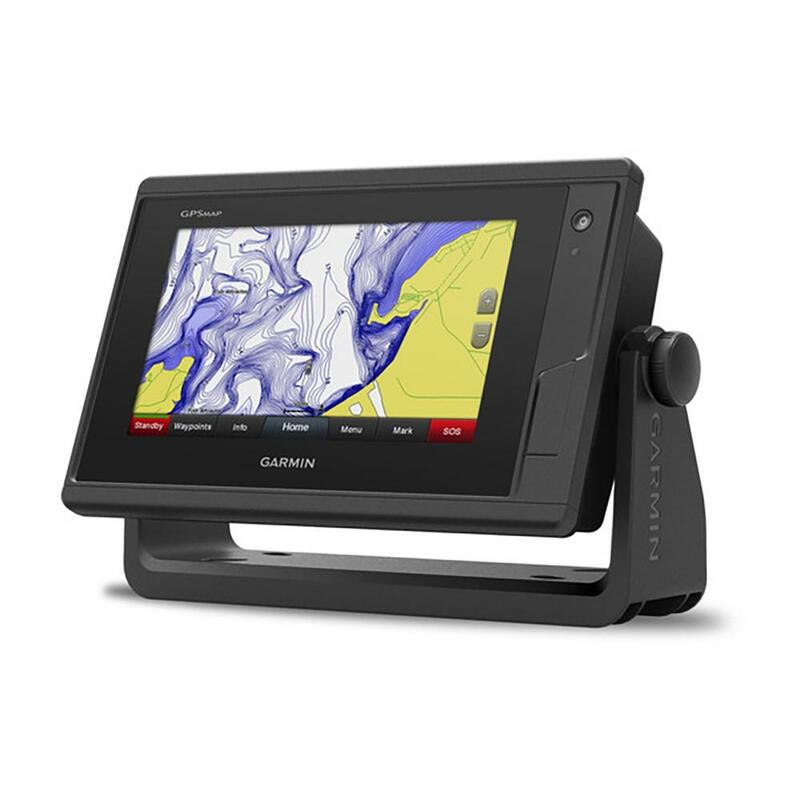 Garmin Marine Network support allows sharing of sonar, including Panoptix FrontVü collision avoidance sonar, maps, user data, dome or open-array radar and IP cameras among multiple units. Plus, there’s NMEA 2000 network connectivity and NMEA 0183 support for autopilots, digital switching, weather, FUSION-Link, VHF, AIS and other sensors. Upgrade to Our Best Maps on the Water: Includes expandable memory for accessory map purchases, such as LakeVü HD Ultra with Max Def Lakes or BlueChart g2 Vision HD, which adds Garmin patented Auto Guidance¹ and other great features.